Why are So Many People Moving to Atlanta, Georgia? Here's Why You'll Want to Move Too! Why are So Many People Moving to Atlanta, Georgia? Here's Why You'll Want to Move Too! Every year, people from all over the country move to Atlanta, GA. It’s been on the list as one of the top-ranked inbound states in the country for several years running. Are you thinking about moving to Atlanta? It sounds and looks exciting by all accounts. But sometimes it’s hard to get a feel for what’s great about a city like Atlanta, and why people love to call it home. Whether you’re the laid back suburban type, big-city lover, or a little bit of both, you can fit in and find your way in Atlanta, Georgia. For eight years running, Penske Moving Truck Rentals has recognized Atlanta as one of the top moving destinations in the country. Penske analysts track one-way truck rental reservations to Atlanta, GA. What better indicator that yes, people are moving to Atlanta! Here’s what you need to know before moving there. According to the AJC (Atlanta Journal Constitution), “The city of Atlanta itself added an estimated 9,900 residents from April 2016 to April 2017. That’s more than double its running average annual growth rate of 4,214.” And it’s no wonder. With diverse, vibrant communities, a booming economy, and plenty of green spaces everyone from millennials to retirees are moving to Atlanta from all over the country. It’s easy to fall in love with a city that boasts walkable neighborhoods, award-winning restaurants, historical charm, and subtropical, sunny weather. The city is home to promising startups and business opportunities, excellent rates of job growth and most sought-after neighborhoods for families. What is the population in Atlanta, Georgia? Approximately 5.8 million people live in the Atlanta metro area, giving it the ninth largest metropolitan area designation in the country. According to researchers and the media, the signs all lead to continued growth. In fact, the city is expected to see some significant population growth over the next two decades. The Atlanta Regional Commission (ARC) predicts that the 10-county metro area will add 2.5 million people by 2040. That’s roughly the size of metro Chicago, Illinois! City leaders project that approximately 500,000 people will live within city limits, more than doubling Atlanta’s current population. What is the economic outlook in Atlanta? According to the United States census report, nearly 90,000 people migrated to Atlanta area between 2016 and 2017. Counties leading the growth are Gwinnett County followed by Cobb, Fulton, and Cherokee counties. Some predict that Atlanta is poised to be the next center of the digital age. There is innovative work going on inside offices all over Downtown, Midtown, and Buckhead and Atlanta is a digital mecca. The city ranks #4 among Venture Capitalists and is on pace to become the nation’s hottest startup scene. Thanks to low unemployment rates and a projected addition of 1.5 million jobs by 2040, Atlanta is viewed as a sought-after destination for job seekers, especially millennials. Atlanta’s millennial relocators, 25-34-year-olds who are college-educated professionals, are often entrepreneurs who own businesses to make their dreams a reality. Atlanta’s southern charm and its air of hospitality encourage innovators of all ages to set up shop and create, without having to navigate unruly political red tape and expenses. Moreover, the region is poised to uphold today’s definition of an entrepreneur; one who upholds a healthy balance between work and life. So far, Atlanta boasts a very reasonable cost of living. How long that will last is anyone’s guess so now is the time to move to Atlanta if it’s on your radar screen. What makes it affordable? For starters, when compared to other major cities like LA and NYC homes can be found on reasonably large lots, and the cost of new home construction isn’t as high as other big American cities. Not sure where you want to live in Atlanta? Consider renting an apartment or a home. It’s a popular housing choice for residents because apartment rentals in most neighborhoods and suburbs won’t break the bank. The affordable housing cost combined with promising career paths has people flocking to the metro area. Yeah, but is Atlanta safe? Most metropolitan cities anywhere in the world are going to suffer from higher crime rates. Despite a reputation for being a dangerous place to live—Atlanta frequently turns up in the national top 10 cities with the highest crime rate—locals say there are a variety of safe neighborhoods. More good news surrounds Atlanta officials who continue public safety improvement efforts. Also, MARTS makes commuting to and from Downtown Atlanta a breeze. It turns out there are other large metro areas such as Memphis, Oakland, and Detroit that all have significantly higher crime rates than Atlanta. Nobody likes to talk or think about crime. To break it down by the numbers, Niche surveys local residents about how safe they feel and if police are present and responsive. Summers are hot and muggy, and there is just no way to romanticize this fact. So indoors is the place to be for work, exercise, and family time during the hottest part of the day! On the upside, winters are short and mild. The average temperature in Atlanta is 70°F, and it rarely snows during nor does it rarely reach above 95°F during summer months. Evens so, if you’re looking for storage units, make climate-controlled facilities your first choice. Only 5-miles Northeast of Atlanta, Decatur is home to several college campuses including Emory University and Agnes Scott College so expect lots of student-centric activities. Decatur is home to civic-minded residents and offers several community-based events including the Decatur Arts Festival, Amplify Music Festival, and free jazz nights in the Oakhurst neighborhood. Decatur is also home to Fernbank forest where locals enjoy hiking amongst old growth trees. The city is known for its strong schools that include four elementary schools, one middle school, and one high school. The downtown area is pedestrian friendly, and MARTA offers three commute lines to and from Atlanta. When it comes to real estate, Decatur is known for its bungalows and cottages. The Oakhurst historic neighborhood offers larger brick homes built during the 1920s. Mid Century ranch-style homes can sell anywhere from $100,000 upwards of $300,000. Known for: A high level of civic involvement, family-friendly activities, and lots of students thanks to Emory University and other well-attended colleges. If you’re looking for an upscale neighborhood in Atlanta, look no further than Buckhead. Located slightly north of Midtown and a little south of Brookhaven, this prestigious area is home to so many celebs it’s garnered the nickname as the Beverly Hills of the South. Here you’ll find fine dining, endless opportunities for nightlife and recreation as well as numerous renowned cultural centers. Buckhead is home to the Atlanta History Center and the Blue Heron Nature Preserve and so, so much more. If you’re moving to Atlanta with kids, Buckhead has more than 40 neighborhoods that define it as a city within a city. While they all exude Southern charm, each has unique characteristics which only adds to the allure of this area. Buckhead for kids is an ideal destination due to its top-rated public and private schools in addition to the family-friendly amenities in the area. Known for: Southern mansions, extreme wealth, luxury hotels, vibrant neighborhoods, and great shopping and nightlife. If one of the reasons you’re moving to Atlanta is for convenience, then Midtown is the place for you. Midtown is known as the city’s cultural epicenter (and one of the most desirable areas to live in Atlanta), the neighborhood offers easy access to Atlanta’s transportation, parks, including Piedmont Park, restaurants and thriving Midtown Arts District. It’s home to the Woodruff Arts Center, Fox Theatre, the Atlanta Symphony Orchestra and the High Museum of Arts. People are often confused about the actual boundaries of Midtown, and some communities will try to include themselves even though they are far from Midtown. So be aware when you see the new Midtown West area. The official boundaries of the Midtown district are the Beltline on the East, North Avenue, and Ponce de Leon on the south, I-75-85 (The Downtown Connector) on the west, and I-85 as it heads north from Brookwood. The number of residents has doubled in the last 10 years according to Midtown Alliance. This metro neighborhood offers a wide choice of housing options from Victorian homes to hi-rise condos. Midtown residents love being close to numerous attractions right around the corner, with MARTA, free public shuttles, and ample walkways throughout the neighborhood. Known for: Attracts professionals, close proximity to everything, new livability initiatives, and home to the city’s largest green space. If living in the ‘burbs is your objective when moving to Atlanta, you’re in luck. Roswell ranks #5 for Georgia’s best suburbs to live in according to Niche.com. It’s easy to see why. Highly rated schools and more than 15 parks, and a historic town square make Roswell a desirable place to live. Roswell’s proximity to Atlanta and commuter train, MARTA, make the 20-mile commute an equal trade-off for this family-friendly town. Huffington Post named Roswell, GA, as one of the “10 U.S. Suburbs that are Surprisingly, Genuinely Cool.” No surprise here. Besides families and commuting professionals, creatives flock to Roswell too. Canto Street’s historic designation and gallery-lined streets are a favorite weekend hangout for locals and tourists. If you’re open to other Atlanta ‘burbs, then you may want to check out some neighboring cities such as Sandy Springs, Alpharetta, and Woodstock. Known for: Attracts families, retirees, and is home to 18 parks and numerous festivals held throughout the year. Also known for covered bridges and as the American city that houses the largest collection of Dr. Seuss work in the country. Home to more than 900 technology companies earns Alpharetta the title of “Technology City of the South.” The Alpharetta Technology Commission (ATC) helps to grow the technology and innovation sector in the city and is host to a startup incubator and year-round events. Although the cost of living is high compared to the rest of Georgia, the city is still a reasonably affordable place to live in comparison to other Atlanta suburbs. Windward is a master-planned community that markets itself as resort-style living. Amenities here include a golf course, private lake, pools, and tennis courts. Other Alpharetta neighborhoods include Shepherds Pond and Glen Abbey which offer newer homes and community amenities. There are nine high schools, 16 middle schools, and three elementary schools making Alpharetta attractive to families. Major employers in Alpharetta include ADP, Comcast, and Hewlett Packard and top industries are telecommunications, health IT, and retail. So there is a good chance you won’t need to hop on MARTA to commute to Atlanta for work. Known for: Affordable housing. Attracts families, and retirees as a desirable Atlanta suburb. Landmarks include Northpoint Mall, a new mixed development, Avalon, and Windward Parkway. If you want to live in a city full of friendly people, a growing job market, and excellent schools then living in Alpharetta is right for you. Living in the heart of Georgia comes with so many perks including opportunities for culture and arts and natural surroundings. There is no shortage of information when it comes to moving to Atlanta, and we hope this guide has helped get you on your way. 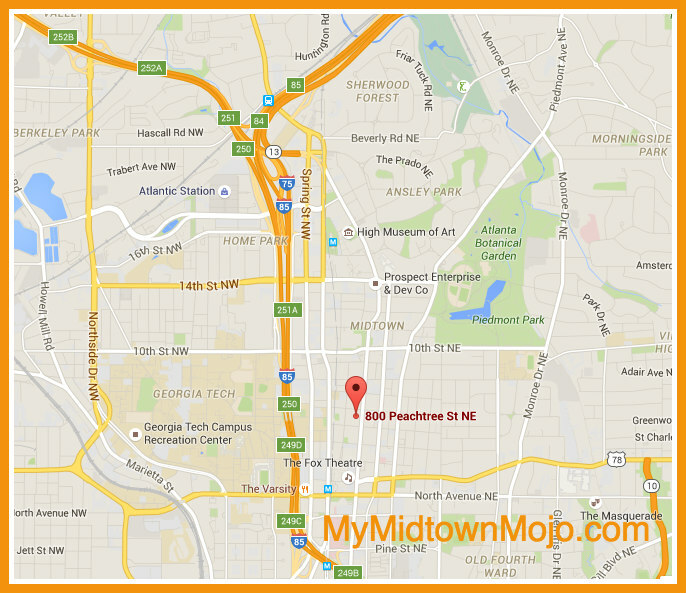 Moving to Atlanta and need self storage? We’ve got you covered there too! Metro Self Storage has been leading the storage industry with top-notch customer service, clean and secure facilities, and easy storage solutions for businesses and families since 1973. With more than 17 Atlanta-area locations to serve you, Metro is a name you can rely on for your household and business storage needs.